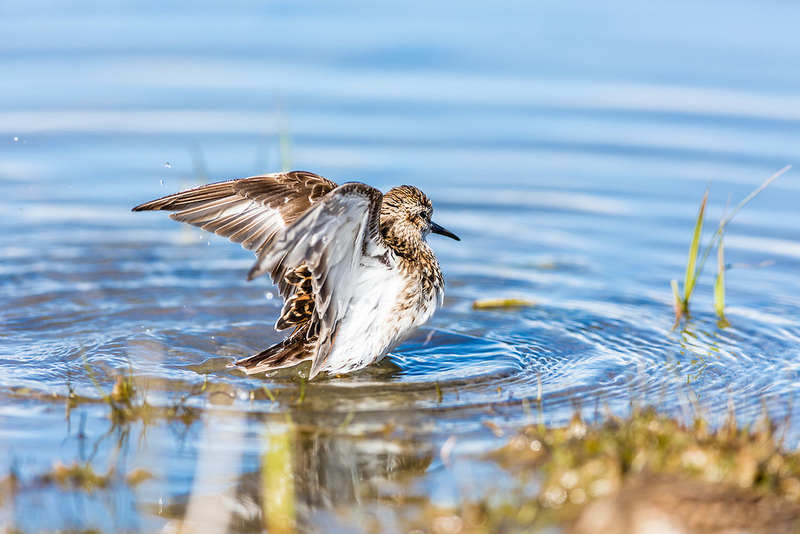 Least Sandpiper (Calidris minutilla) preening on the tidal flats of Hartney Bay near Cordova in Southcentral Alaska. Spring. Afternoon.